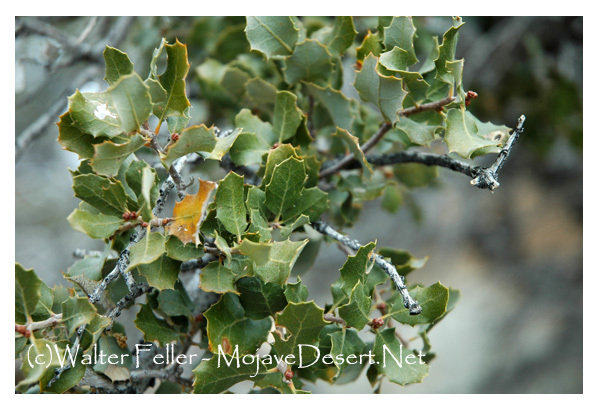 You know you are at higher desert elevations when you find Pinyon Pine, Juniper, and Turbinella Oak (Quercus dumosa turbinella). This oak is host to several insect parasites. Oak scale sometimes covers branches with bright yellow wax, and oak galls, looking like small brown balls up to an inch and a half in diameter, often form in response to insect damage. The small edible acorns were a favorite food for Indian tribes and early settlers. Today, chipmunks and birds feast on the nuts.